I'm so happy that I have been awarded this award by my VERY good friend Sophia. Her blog is fantastic, and she is such a sweetie, it's great to find someone with such great taste.. but also a really genuine person. Please do visit her blog, it's worth it!. 2) What are 1-2 reasons why you started blogging? 3) What types of blogs to you like to follow/read? 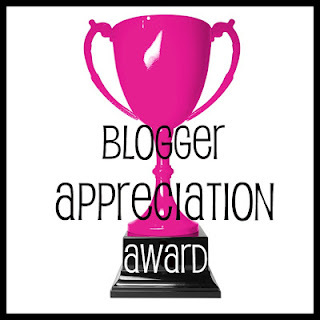 4) What is 1 thing you would like to improve on as a blogger/on your blog? 1) I have been blogging seriously since about 2010, and I love it!. 3) I love beauty blogs, but anything that has a cute girly theme to it. I also like edgy fashion blogs!! 4) I would love to get more and more followers, because it feels so good to know someone reads what you put effort into writing. Most of the people I want to award have already been awarded, so I would like to offer this award to any of my followers as you are all very deserving.